As I mentioned in my previous post here, this week is themed red. As you know, bright color is the major trend of this season. This includes all shades of red: from vibrant pink to scarlet. Combine different shades into one look, i.e. 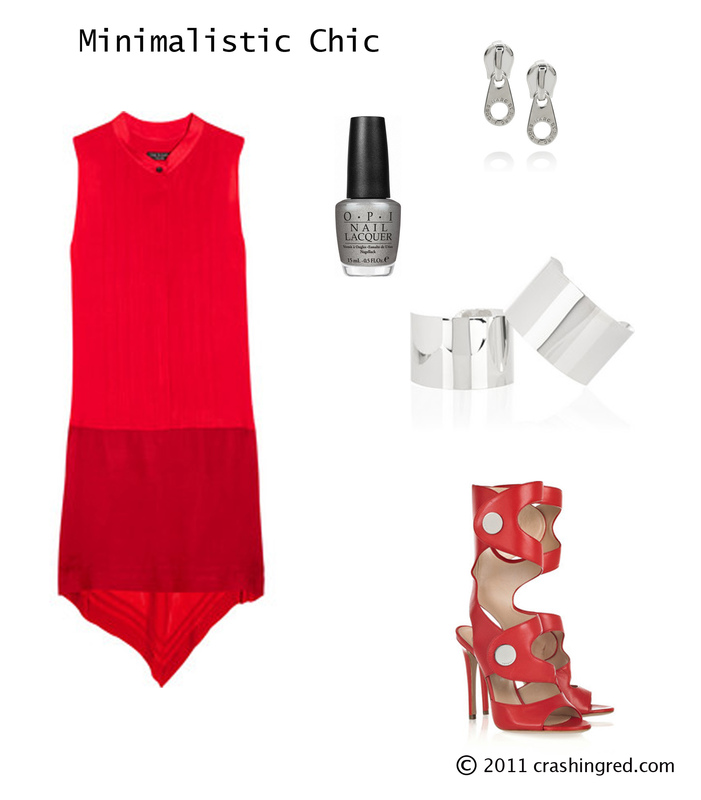 orange + red; create monochrome ensembles; or play on contrasts, i.e. extravagant turquoise + red. There are no rules in this season fashion. It’s time to experiment! 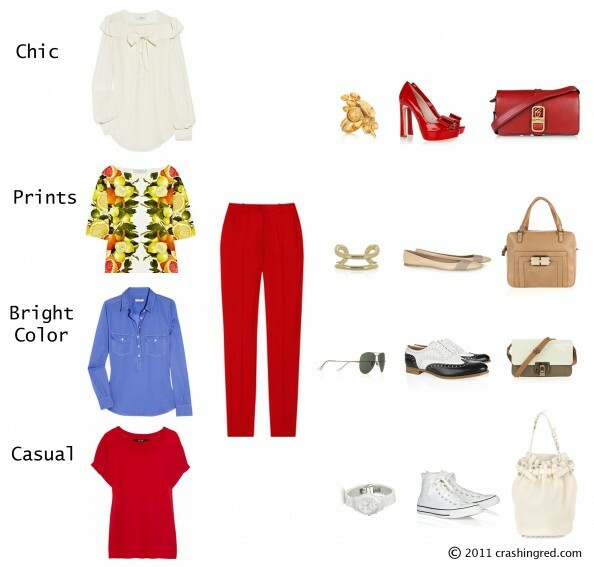 The three style boards express a few ideas for casual and evening wear in red. First board: styling options for trousers (or jeans, as in my case). Second and third: evening dresses. As you probably know, I adore structured silhouettes, clean cuts and minimalistic looks. 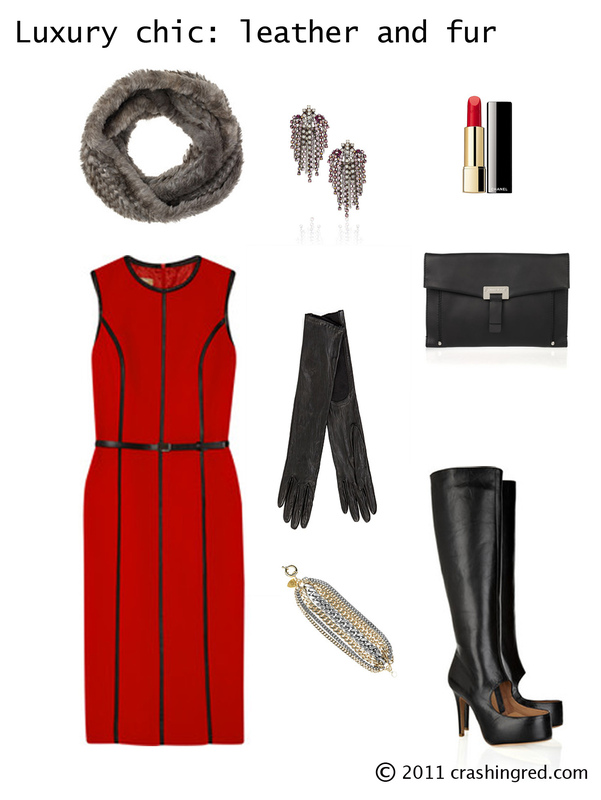 Red is a strong color and as such, it requires good thinking when putting together a look in order not to overdo. Chic style is when clothes accentuate your individuality; when you see the Person in clothes. Not in reverse order: when you can barely see a face behind tones of designer mess. [Disclosure] Images for these styling boards were obtained from Net-a-Porter with a purpose to illustrate styling ideas and not to promote particular brands. Again, all styling ideas are easy to re-create without spending much. I hope you will find them useful and may be even inspirational. Enjoy! And let me know, what you think about these looks. I am curious about your opinion, lovelies! I really love the red pants, they’re so beautiful! I don’t wear red often but these outfits are amazing and I’d wear them! Great job! Interesting ideas! I shall try to incorporate red into my wardrobe. Thanks for such great post! I`m totally loving the leather & fur look! HOT!